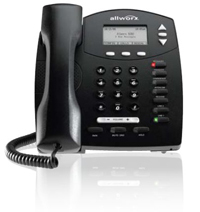 If you want the power and cost efficiencies of VoIP but don’t have a high call volume or need for call line appearances, the Allworx 9202 is just right for you. It has a sleek, compact design and is extremely easy to use. Just plug it in and start saving!